Like to hunt early season? Then look no further for your perfect early-season decoy package. 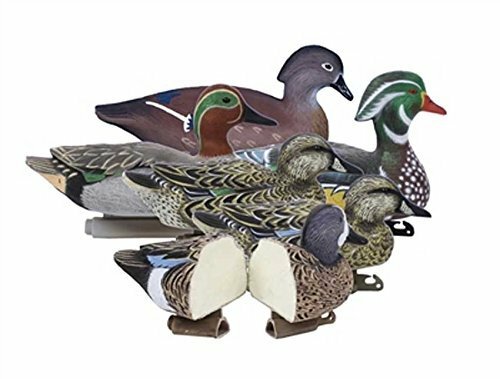 Package Includes: 6 decoys consisting of a drake and hen of the following species: Wood Duck, Green-Winged Teal & Blue-Winged Teal. Foam-filled for a lifetime of use. Weighted keel for quick and easy set-up and a short stringing clip allows for using shorter lines in shallower water. Package Includes: 3 Drakes, 3 Hens. If you have any questions about this product by Higdon, contact us by completing and submitting the form below. If you are looking for a specif part number, please include it with your message.